LA TRINIDAD, Benguet– Three-term Rep. Ronald M. Cosalan said that some P20 million was earmarked by concerned government agencies in their annual budgets next year for the health and medical assistance for people from the different parts of the province needing such assistance from various health institutions inside and outside Benguet. Cosalan, who recently announced his retirement from politics after serving 5 terms as the province’s representative to the House of Representatives, said that it was previously proposed that P5 million each will be included in the annual budget of the Benguet General Hospital (BeGH), Baguio General Hospital and Medical Center (BGHMC), the Manila-based National Kidney Transplant Institute (NKTI) and the Quezon City-based Philippine Heart Center (PHC) which will be used by patients from Benguet to avail of the health services from the said medical institutions. “We continue to provide the needed assistance to our constituents who will be availing of health services from the said hospitals so that their medical needs will be provided by the experts from the said government hospitals. We had been receiving numerous requests for financial assistance for the health needs of our constituents that is why we decided to increase the budgetary requirements of our medical assistance program,” Cosalan stressed. 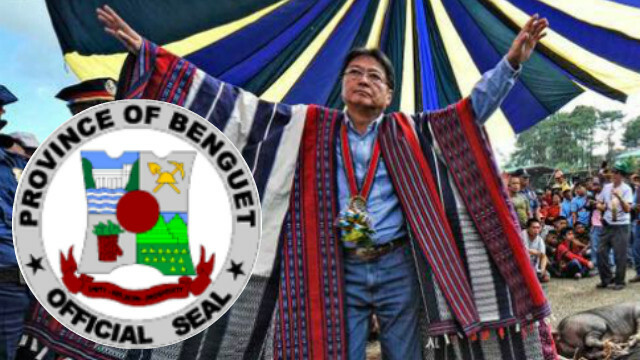 The Benguet lawmaker claimed that numerous individuals from the different parts of the province had been seeking financial assistance from his district office primarily for their health condition over the past several years that is why he decided to increase the funds allotted for the purpose to be able to address the needs of more people encountering health problems. According to him, one of the major programs of his office is to provide financial assistance for the health needs of the people coming from the 13 municipalities for them to sustain their health and thus, their livelihoods. He explained that majority of the people seeking financial assistance from his district office are patients undergoing dialysis treatment in Baguio and Benguet primarily that is why he decided to further increase the allocation for his medical assistance program in both hospitals so that more patients will be given sufficient financial assistance to at least lessen the burden from their families on their medical requirements. For those seeking confinement and expensive medical procedures at the NKTI and the PHC, Cosalan claimed that the increase in the budget for the services of both hospitals was reached because the sensitive medical procedures are too expensive and cannot actually be afforded by ordinary residents from the different parts of the province. Cosalan reminded the residents of the province to maintain healthy lifestyles to enable them to be productive to sufficiently meet their families’ needs in the face of difficulties of life brought about by the continuous increase in the prices of basic commodities triggered by the unabated rise in the prices of oil products in the world market.